A robust set of tools and fully integrated to ERP infrastructure. Widely recognized as the most robust payroll solution on the market, SAP On Premise Payroll gives you full control over your Payroll processes and rules while integrating within your complete ERP On-Premise infrastructure. 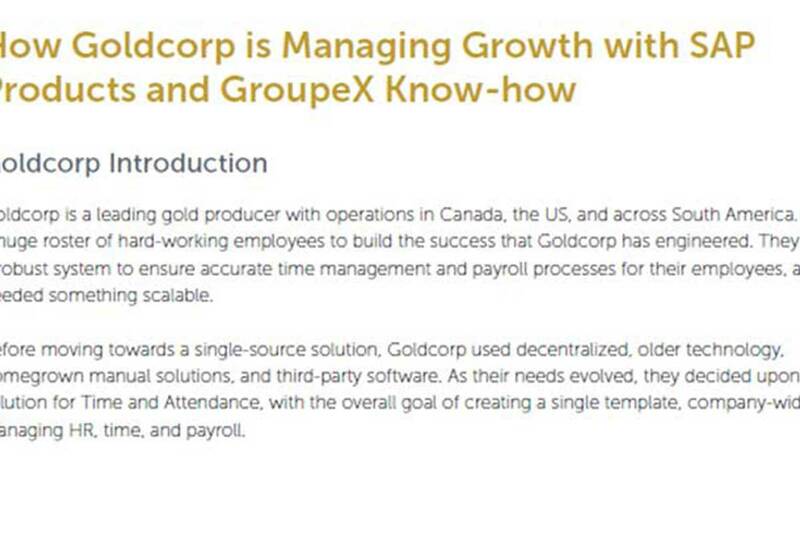 Payroll solutions have been the backbone of GroupeX since its beginning. This includes, integrating Employee Central with SAP Payroll on premise or Employee Central Payroll (ECP) and/or SAP Time and Attendance in the Cloud. Let’s talk about your unique requirements and let us show you what SAP On Premise Payroll can do for your organization. Changes to validations or policies are no match for the automation capabilities of SAP On Premise Payroll. You’ll no longer be faced with endless error logs or Excel sheets to sift through. Automation ensures that global payroll rules, labor policies, and fluctuating currencies are monitored and current, which ensures that global employees are paid accurately and on time. By having your Payroll and Finance systems together in an on premise solution, you remove the need for additional integration steps in the monthly time crunch of running payroll and transferring to Finance to run month end processes. In addition, through running pre-payroll checks and reporting, Finance can get a sneak-peak as to what to expect in order to better plan ahead and start their close-outs sooner. Read about an international mining company's success.